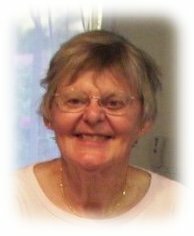 Elaine Penny Lieb, age 80, passed peacefully on Thursday, January 17, 2019 at St. Mary’s Hospital in Rochester, MN after being critically injured in an automobile accident January 10, 2019 that tragically also took the life of her brother. A Joint Celebration of Life for Penny and her brother, William Arthur Craig Studer, is scheduled for 3:00 p.m., Saturday, May 11, 2019 at Zion Lutheran Church, 924 Bridge Avenue in Albert Lea. As she was known by all, Penny was born on July 28, 1938 to Emma Lucille Hanson and Wilbur A. Studer in Albert Lea, MN. She married Dennis Wayne Lieb on May 1, 1960 and they had one daughter Michelle Elaine (Lieb) Levorson. Even though her husband and only daughter preceded her in death Penny remained a favorite Aunt and Great-Aunt to the Lieb/Herbers family as well as to her own. She was a vibrant member of her community in Albert Lea and served as Treasurer to Lakewood Cemetery for many years. Her love of family manifested itself in great curiosity of family history and photos. This led her on many journeys including a trip to the home of her great-grandparents in Bloomville, NY last summer with her sister Mary and brother-in-law Lowell. Penny took great joy in knowing this New York connection made them 8th cousin once-removed to Anna Eleanore Roosevelt. And they were both remarkable women! Survivors include two sisters, Irene (Studer) Dassier (Jean-Francois), Mary (Studer) Bye (Lowell), three nieces and one nephew, Lisa (Bye) Scherber (Terry), Peter Bye (Kristine), Frannie Dassier (Ross), Nadine Dassier (Mark), niece and nephews of husband Dennis, including Jim, Terry, Brian, Wade, and Holly Herbers (Postel) and their families, one sister-in-law June Adele Lieb, and many other relatives and cherished friends.